London based landscape gardeners, Cutting Hedge™, provide complete garden lighting design and installation. 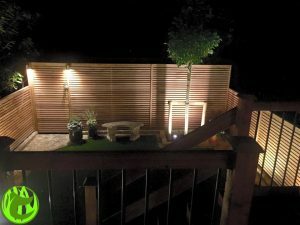 As professional London landscape gardeners, we offer garden lighting design for that perfect summer evening, Not only summer but to create a beautiful drama of shadows amongst plants and garden structures. Our professional certified install can install garden sockets, light, heater points to just about any electrical requirement you may need.